Sizzling patties of rage and malice! This hand-casted, hand-painted, hand-handed, release is strictly limited to ONLY 3 pieces! 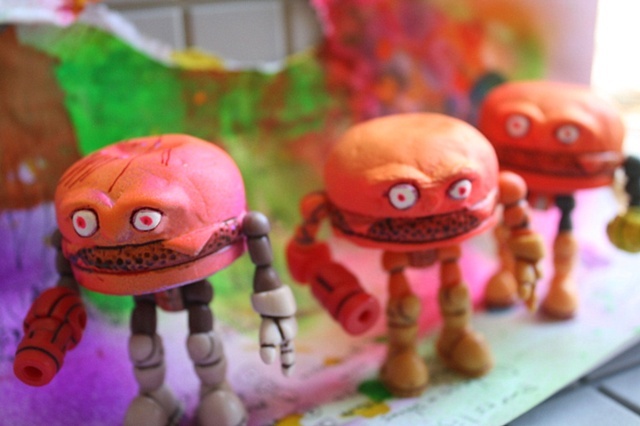 A prelude to the SDCC release of the Hamburger Hurter figure. Each figure includes either a ketchup or mustard blaster. First come, first serve. All figures feature and are compatible with GLYOS joints.